Chris Davis' power would be a nice addition to the Cardinals' lineup. 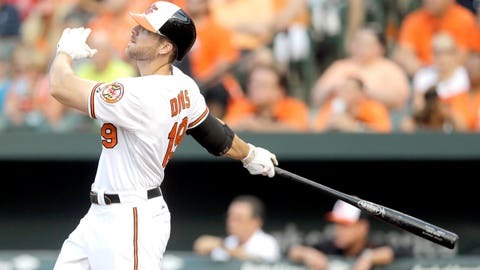 The St. Louis Cardinals are interested in free agent Chris Davis and have had discussions in recent weeks with his agent, Scott Boras, according to major-league sources. 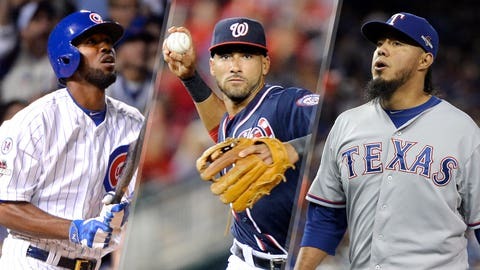 The Cardinals, sources say, are intrigued by Davis’ ability to play first base, third base, right field and left field. He started games at all four of those positions during his tenure (2011-15) with the Baltimore Orioles. Davis, who turns 30 in March, is a league-average defender at first base, but below average at the other three, according to Baseball Info Solutions metrics available through Baseball-Reference.com. The Cardinals are looking for offense after scoring 647 runs (24th in the majors) this past season — their second-lowest output over the past two decades, ahead of only the 619 they produced in 2014. Davis has hit 159 home runs over the past four seasons — the most in the majors during that span. The Cardinals are poised to spend heavily in free agency this winter, thanks to revenues from their new local television contract with FOX Sports Midwest, and Davis appears to be a good fit for their long-term plan. He could become their everyday left fielder in 2017, as Matt Holliday — another Boras client — doesn’t have a guaranteed contract with the club beyond 2016.